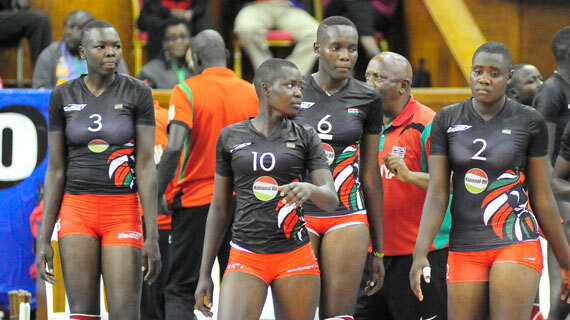 Kenya’s Malkia Juniors surrendered a golden chance of enhancing their qualifying opportunity to the finals of the Africa Women’s U20 championship at Kasarani by relinquishing a 7 point lead in the fourth set as they lost the match 1-3 (25:19, 18:25, 24:26, 23:25) at home on Wednesday. Kenya started well with a 25:19 lead before losing narrowly 24-26 in the second set to set the match at 1-1. The Malkia Juniors came from behind to level the second set at 24-24 before an unforced error saw Nigeria regain the lead won the set. The third set swung Nigerian way as they were able to capitalise on their momentum and Kenya’s uneasiness to win the set 18:25. The breaking point was in the fourth set when Kenya raced into an early 8-1 lead at the first technical time out. Nigeria slowly but surely clawed themselves back in the game at 19:16 before levelling up the score at 20:20. Kenya would have themselves to blame as they committed several unforced errors ranging from poor service, porous blocks as well and losing points on net touches. The Junior Malkias will have to bring their A game against group topper Cameroon on Thursday and hope that their southern Neighbours Tanzania will post a favourable results against Nigeria. Nigerian and Kenya have won one match each while Cameroon have already qualified with two wins against Nigeria and Tanzania. Coach Gitau led juniors will have to work on their reception, blocks, and mental strength to overcome Cameroon in a do or die match to be played on Thursday at the Kasarani Indoor Arena in the week long tournament.